Spitfire - ride the sky! 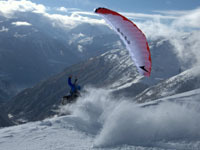 In late 2007, Swing created the SAVAGE, the perfect introduction into speed riding. Now our core speed riding development team led by Manuel Croci and Daniel Kalberer introduces another great speed rider: the SPITFIRE. The primary objective in this new development was to achieve the maximum increase in the glide-dive range. The result is a wing which combines the good glide features and the low launch speed of a speed flyer with the speed riding characteristics and dive possibilities offered by a true speed rider. 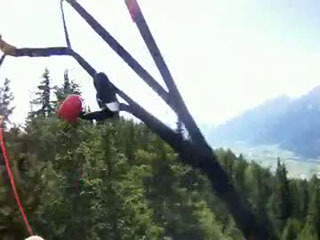 The brand new SPITFIRE leaves nothing to be desired, and the Swing speed riding team is truly excited about it. It will be available from December 2009 in 5 sizes. Size 7 will be available only for pilots in the SWING Speedflying Team. Compare its features with other speed riders - they are very convincing. Available in five sizes, 15 - 13 - 11 - 9 - 7, the Spitfire is the perfect glider for anyone enthusiastic about this exhilarating new sport.